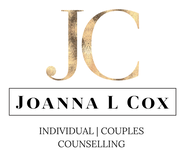 Joanna L Cox is a board Certified Therapist & Coach specializing in individual therapy & couples counselling and maintains a private practice in Sudbury Ontario. Joanna also holds individual and couples intensive weekend retreats at resorts across Ontario and the United States. Among her areas of expertise are married and individual entrepreneurs. Joanna is an interactive, solution-focused therapist & trainer of the mind tools in her field. Her therapeutic approach is to provide support and tools to help her clients effectively address and shift personal and professional life challenges. With compassion and understanding, she works with each individual and couple to help them build on their strengths to attain the personal growth they are committed to accomplishing. Joanna's expertise and professionalism ensures she achieves timely effective results with her clientele. Focused on improving communication, behavior and performance through the identification & modification of human behavior - Joanna’s Counselling, Hypnosis & Brainwave Entrainment sessions are well-suited for anyone who seeks to increase their impact, influence, personal excellence and those looking to improve their confidence, creativity, and work/life balance. 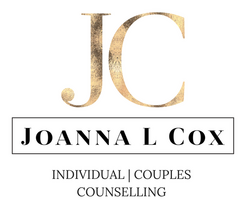 With over 18 years of coaching, counselling, mentoring and most importantly, real-life, in-the-trenches entrepreneurial experience, Joanna also empowers and coaches executives and entrepreneurs, and teaches them how to adopt the psychology and physiology of excellence in their business and relationships. In 2011 Joanna served on the board of directors for the Chamber of Commerce in York Region, and is an active member in her community in Sudbury, ON where she has resided for five years. She is a Rotarian with the Rotary Club of Sudbury Sunrisers, a times 2 Paul Harris Fellow, a Bequest Society Member with Rotary International, an active member with Civil Air Search & Rescue (CASARA/SUDSAR), and volunteers with Circles®, a program with a focus on building relationships between people from all income levels as a way to help individuals and families living in poverty. Joanna has a 25 year old son who lives and works in Toronto, and the resident cat "Doug" who may be spotted from time to time if you require the debit/credit machine.